Gary R. Brown, a former University of Glasgow student and Queen Margaret Union president, meets [qmunicate] to talk about how he went from quiz host to CEO. 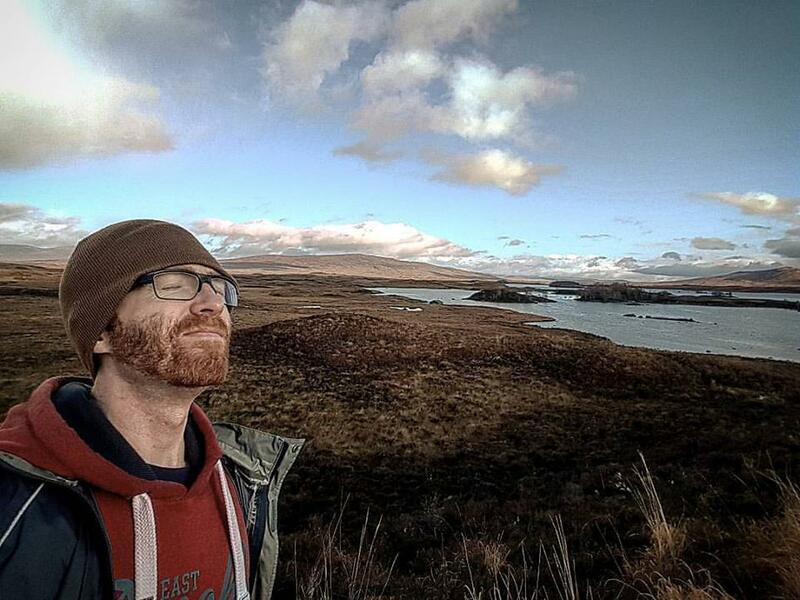 Student Tours Scotland, which Gary leads, has allowed him to turn his passion into his career. Not someone to fret over setbacks, Gary used this extra time to hone his skills in the tourist industry using Scotland’s Business Gateway free courses. I ask him about his business’ start-up capital, “I had the skills for tourism already and kept them building. Always reading and always learning. I worked on remembering stories I was told and spoke with awesome storytellers to refine my skills on the mythology. It was all really cheap. Just the first coaches and a website really.” He emphasises the use of coaches – not buses, never buses. Gary is immediately recognisable as an energetic person with a real love for his day-to-day work. He attributes his motivation to passion and the experience of working in jobs that “sucked the soul” from him. Even so, he appreciates the lessons each job taught him. His term as QMU President provided him with practical and public speaking skills as well as the contacts that help keep his tour company ahead of the curve. “My time as a quiz host taught me everything I need for stage persona which is really useful on a tour to keep the crowd interested”. He went on to serve as the QMU President between 2006-07, and also co-authored a book about the Union. However, this year as President also proved challenging, “It taught me that people will use you for their own gains and it helped me develop a thicker skin.” Currently, Gary also works part-time at a high street retailer – a job he adores and that reminds him of the world beyond the Highlands. Scotland’s recent surge in tourism presents a challenge not only to Student Tours Scotland but to the overall maintenance of the Scottish environment. Nicola Sturgeon recently announced a £6,000,000 rural tourism infrastructure fund as tourists continue to seek out that perfect Instagram photo to accompany their #LoveScotland tag. I ask Gary what concerns he has. “Brexit offers an interesting challenge”, he ponders. “So many of my clients are students from the EU Erasmus programme”. He moves on to discuss the rebranding opportunities this presents. With the confidence of a practiced to make a positive out of the negative”. Joking that he couldn’t possibly list the mistakes he’s made over the years, his final advice to any budding entrepreneurs is “Try things out, make mistakes and run with the things you believe in.” A self-confessed people watcher – you businessman, Gary reassures me “Part of being in a business is running with it and trying may see him clutching a white coffee from behind the Café Nero windows on Buchanan street – Gary’s story reminds us to embrace our individual creative instincts and shape our work around them. Student by student, we stumble off the bus and prepare ourselves for the cold walk home. This journey will be without the expert commentary of Gary Robert Brown – named for Robert Burns Day, the day he was born. Of course, this makes him “all the more Scottish”. Click here for more information about Student Tours Scotland, including events in 2018.